ASALA, otherwise known as the Armenian Secret Army for the Liberation of Armenia, was a Marxist-Leninist terrorist organization that existed from 1975 through 1986. ASALA sought to compel the Turkish government to recognize the Armenian Tragedy as genocide, pay reparations to the victims of the Armenian Tragedy, and cede territory for an Armenian homeland based on the never-ratified Treaty of Sevres of 1920. The primary strategic goal of ASALA was to call attention to the Armenian Tragedy, and in this, they more or less succeeded. Before ASALA, the tragedy that the Armenians suffered had been more or less ignored by the world, but after ASALA, the entire educated world knew about the Armenian Tragedy. Nevertheless, ASALA failed to meet the rest of their objectives. To date, Turkey does not recognize the Armenian Tragedy as genocide, reparations have not been paid to the remaining survivors of the Armenian Tragedy and their families, and the internationally-recognized borders of Turkey have remained in tact. Yet still, ASALA did succeed in its primary objective, for the world now knows about the tragedy that befell upon the Armenian nation. This is a documentary that analyzes the Armenian genocide theory and uses witnesses, historians, researchers, professors, and archival evidence to show that the Armenian genocide is nothing more than an untrue one-sided version of history that omits much of history and exaggerates and fabricates ideas of hate and deceit to a world audience. 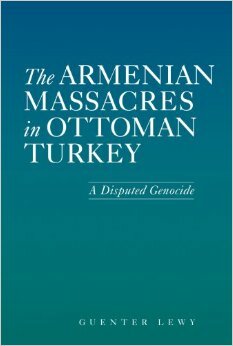 It uncovers the truth about the Armenian genocide and represents both stories very well. It has numerous interviews with Armenians as well, some of whom have opposing views to the documentary's main perspective. Unlike the highly publicized Armenian documentaries that barely give the other side a chance to tell their story and uses dramatization and exaggeration to convince the viewer, this documentary uses archival information and numerous sources to persuade the viewer. Our Armenians, Turkish-Armenians in Turkey. This is a video about famous Armenians who live in Turkey, who do not revolve their lives around a myth that the Armenian diaspora has invented. They are all loved, contrary to how Armenian propagandists tell people that Turkey is a place that suppresses people of different religion or ethnicity. Turkey is a democratic country, with democratic elections, and has full freedom of speech for all its people, regardless of their background. Armenian propagandists have been trying for years to shut down Turkish-sided websites in order to show a 1-sided view to the world. Some hosting companies who have Armenian workers will actually shut down these sites because of their nationalistic agenda. While Armenian propaganda sites talk about the horrors of an alleged Armenian Genocide with gruesome pictures and pictures of monuments (by pretending that pictures of unknown origin prove genocide and intent), Turkish sites usually have articles and content directly debating and disproving the Armenian Genocide Theory. Many sites provide evidence, supporting evidence, and provide a conclusion and the user has to decide whether the conclusion is accurate based on the evidence. I have personally met many people around the world that have later changed their mind about the issue after talking to Turks because he/she found that the Armenians were less convincing and had no evidence of a genocide, because they kept using pictures and horror stories to convince rather than facts and documents. This is a brief, concise explanation of the Armenian Revolt and the subsequent suppression. The First Genocide of the 20th Century? It's truly saddening to see the numerous comments by Armenian propagandists that continue to focus hate on the Turkish government and their never ending quest to make the Turkish government look like "the liars." However, it is also uplifting to see some Armenians that will discuss these events maturely and will actually try to argue. While some of the Armenian propagandists will dismiss whole articles and use their argument of "it happened" or "everybody believes it already" or "The Armenian revolution is irrelevant", such arguments by scholars on all sides are said to not aid the Armenian genocide argument. It is a debate, and just because one says it isn't a debate, doesn't make it so. This is a brief, concise explanation of the Armenian Revolt and the subsequent suppression. Most material you read on this topic will present a one-sided argument that fails in providing a critical analysis of events. Generally, material is designed by authors to "lead" the reader to come to a pre-designated conclusion of an "Absolute Genocide" or an "Absolute Denial". Yes, that is true. This is the scale, there are extremists on both sides. Rev. J.A. Zahm talks about Armenian Sacrifices for the Cause! "Still again the hue and cry was raised in Europe and America that the soulles Turk, always the Turk, only the Turk, was the guilty one. Armenian agitators, Armenian jacks-in-office, Armenian revolutionary committees provoking the Turks to retaliate on their offenders in order to force the intervention of the Great powers—these political mischief makers go scot-free while the ever vilified Osmanli is pilloried before the world as a monster of iniquity and a demon incarnate. To pretend H.R. 106 is about condemning ‘another government from another time’ and has nothing to do with the Turkey or Turks of today is entirely disingenuous.